Migraine Monologues: Star Trek Device to Beam Away Migraines?? 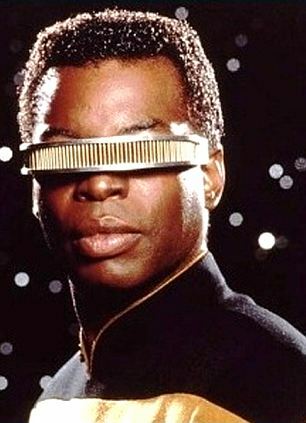 Beam Away My Migraine, Scotty! Ok I'm not a Trekkie so I've probably committed some terrible cardinal sin - though I did love the film adaption and am very much looking forward to the sequel; especially as it will star Sherlock Holmes! It's called CEFALY and apparently uses TENS technology, as in a TENS unit! Remember those TENS units I'm always banging on about and you may see me wearing and mistake for my I-pod ear phones? 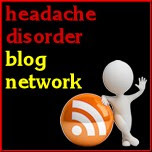 i.e It sends a tiny electrical stimulation to certain nerves believed to be involved in the migraine process. Yesterday results of a small study in Belgium were released that looked at the efficacy, and safety, of the device which are explained wonderfully by Teri Roberts over at Health Central. In summary, it does sound promising but the study was incredibly small - but side effects seem to be non-existant and the results similar to daily preventatives. I say, let's keep an excited eye on this one. All kind of clever gadgets and gismos are popping up at the moment. 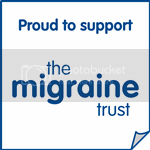 Indeed I even signed up for a trial that puts a gismo up your nose at the first sign of a migraine - but for various reasons I've not been able to take part, partly because you have to get to the hospital where the trial is taking part within 2 hours of the migraine starting. But I'll be really curious to see the results. 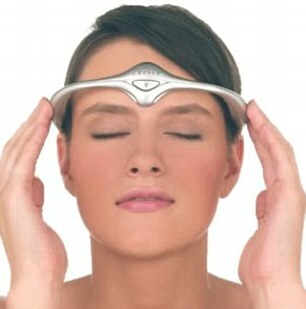 Just last week I had a go with the Spring TMS device, several of my migraine buddies have found it to be life saving. Below is a video talking about another implant, stimulation device which sufferers 'turn' on with a hand held, remote control switch. Just to warn you this is a hilarious spoof video....to cheer you all up on a Friday! I was loaned a CEFALY headband by my dental surgeon for about 6 weeks back in June last year. It was kind of weird to use, and kind of fun in a "mild electrical vibrations to the head" kind of way. Unfortunately, I don't think it did anything to help me (or at least nothing major), but I also think that my migraines at the time were too frequent but variable to really notice the level of effect they're talking about in the short time I had it. You're also supposed to use it for at least a month before you start getting a preventative effect, so the length of time I had it too short to really say for sure if it worked. I definitely wouldn't discourage anyone from trying one if they get the opportunity, though. You never know if something will work for you until you try it! Hi Sarah, thanks so much for sharing this - always brilliant to hear from people who have first hand experience of these things! Yeah, be interesting to find out what would have happened if you'd be able to use it for 3 months say? It does look pretty funny though doesn't it! ha! And exactly - we've got to try everything if it helps - though this hasn't been FDA approved in the states yet...or something! It does look hilarious (my boyfriend called it my space princess headband) and it makes some pretty funny beeping noises when you accidentally bump it when it's going! But looking silly (or awesomely sci fi), is a small price to pay for some potential migraine relief. It would have been good if I could have tried it longer, but as I'm a student I just couldn't afford to actually buy one. I definitely didn't get any adverse effects, though it is a bit intense to use at first. You beat me to it. I was going to tweet about this. It is exciting. When I was trying to find the original research article of the clinical trial I discovered one published by the same authors on some potential side effects. Apparently they noticed it caused sleepiness in patients so they investigated that effect further and in a small study (30 healthy subjects) saw that the device has a sedative effect (see here for the full paper http://www.biomedcentral.com/1471-2377/11/135). Now, this may not necessarily be completely bad thing because as migraineurs we all have problems with sleep, so it may be helpful to have something that helps with sleep and the authors suggest that Cefaly may be used to help with sleep disorders. However, more research is needed. Would be interesting to hear from more people who have used it.